The Bobcats Friday night game was moved to Thursday as a result of an Officials Shortage as reported by the GHSA, Late in the season as games have playoff implications the GHSA requires a crew of 7 with an additional 4 to operate the chain crews and a electronic clock operator across the state. 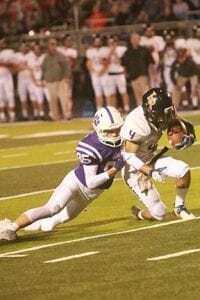 In the Thursday competition for Gilmer, the Lafayette Ramblers came in to Huff-Mosley Stadium for Senior Night and the final game of the regular season for 2018. Coach Wingard and his Bobcats were looking to bring a high point to the football program with a victory to close out the the high school careers of 17 young men who have gave their hearts and souls to Gilmer football. 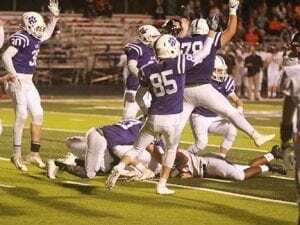 It wasn’t meant to be on this night with the Ramblers taking a 34-14 victory at games end. The score doesn’t show how well the seniors and their teammates played the game. Senior David Smith rushed for the 2 touchdowns for Gilmer. 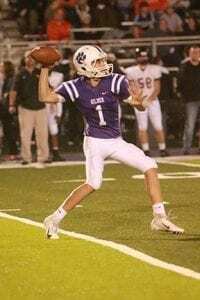 The offense for the Bobcats moved the ball up and down the field with few issues but when those happened it seemed as the Ramblers capitalized and put points on the board. Lafayette had one interception off the arm of Freshman Seth Darling. Darling’s pass was on target to his receiver when the Rambler defensive back cut in front for the reception that led to a score. Defensively the Bobcats dealt with the speed of LaFayette receivers disrupting several passes and were very close to intercepting 2 long attempts. In the end the Ramblers put up a 34-14 win to end the Cats season. The game was closer than what the scoreboard showed at the end of the night. 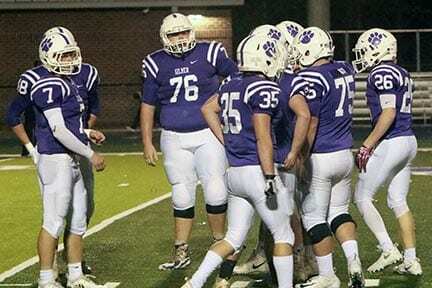 Though the record is a repeat of the previous campaign, the 2018 Bobcats as a team improved. From a school record 99 yard touchdown run, multiple 200 plus yard games to a new assistant coaching staff that really brought this team together to get better and stronger these Bobcats can look forward to the 2019 season. The future is bright for the seniors as well. Some will move on to play at the collegiate level and others may start careers. Either way these guys can graduate with pride from Gilmer High School. GO BOBCATS! !